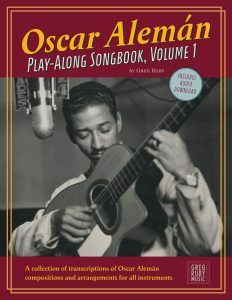 I am excited to get the Oscar Aleman tribute project rolling. I am arranging Aleman’s composition & arrangements of classic swing tunes. New compositions in the style and instrumentation are also on their way!! Stay tuned & check the calendar!! Previous: PRE-ORDER SYNCOPATED CLASSIC NOW! !